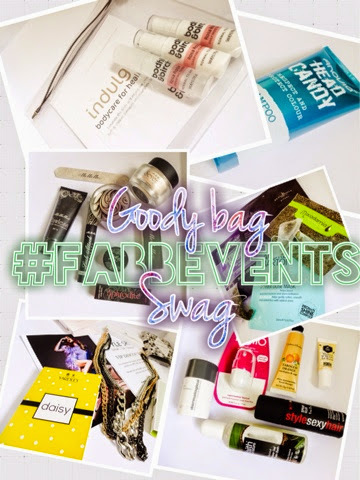 I teased you with a quick shot of the six marvellous goody bags chock full of amazing products that were so kindly gifted to us at the FABB Events blogger meet in Birmingham at the weekend, so it only seemed fair to do a post giving a peek inside. It really was like Christmas had come early to have so much amazing stuff to unwrap so massive thanks to Tor and Ray for spoiling us and all the brands that gave us their items to try, we are truly grateful! There’s literally so much to show that this post will be just a quick look at the items, then I may come back and review certain items later – so if there’s anything you want to see more of, let me know. Were a new brand to me that I met at the event. Straight away I loved their ethos of making products with quality ingredients available to everyone for a great value price. This smells so amazing – that juicy, red fruit smell that makes it a pleasure to get into the shower in the morning. With a blend of raspberries, cranberries and strawberries, this refreshes and gives skin a hit of moisture. This little beauty contains keratin, a protein which rebuilds damaged hair and is a holy grail ingredient for those of us with colour treated locks, or even if you just over use heated styling tools. Normally, its only found in expensive formulations, so I’m loving the fact this is just £1! 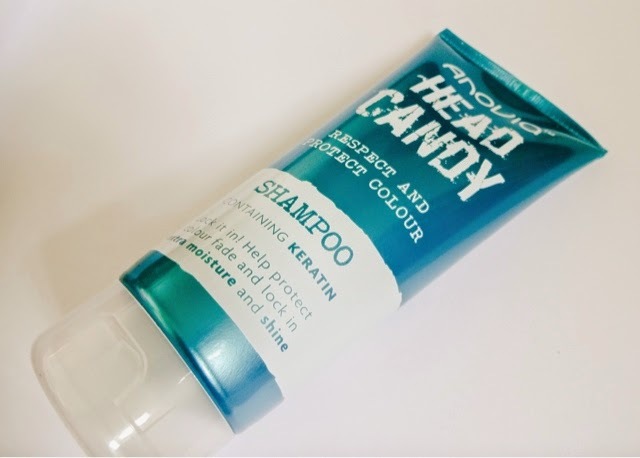 Its designed to leave hair shiny, frizz free and smooth, and I love the bright packing in the premium-looking tube. 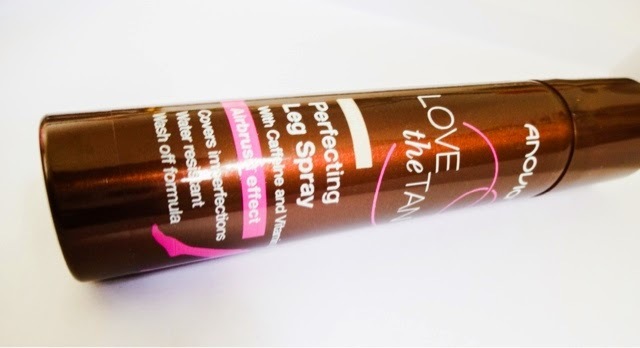 Adore these airbrush effect sprays, they are a real secret weapon on big occaisions, especially for those of us who are scared to death of fake tan! 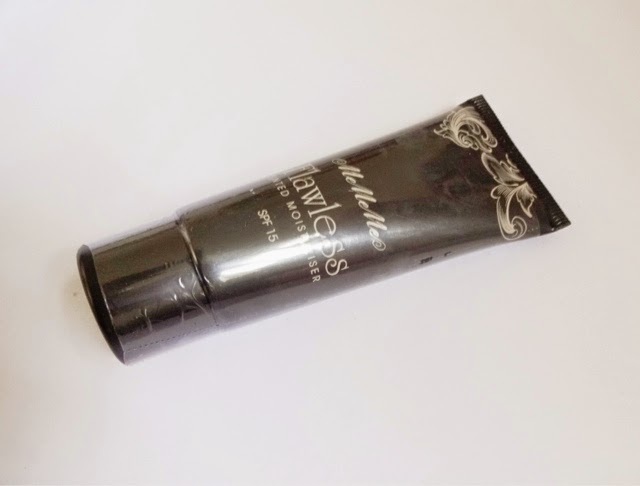 A lightweight, mist foundation, you spray this on your legs for a flawless appearance and it instantly camouflages bruises, bumps, thread veins and any other nasties. This is water resistant so it won’t go streaky, but it washes off with a little soap in the shower. With Caffeine and Vitamin E, this also feels super silky on. Who doesn’t love a good BB? 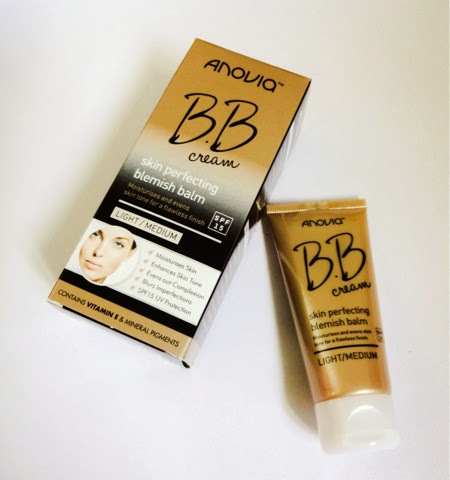 This one covers all the bases at a price you can afford to stock up on – it moisturises, enhances your skin tone, evens out your complexion, blurs imperfections and best of all it contains SPF 15 to stop sun damage, along with mineral pigments and Vitamin E, which has an antioxidant effect on the skin. 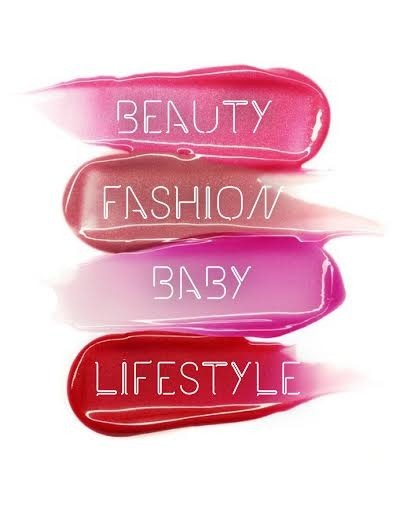 A range of make-up formulated for stage and screen, you know this brand will bring the big guns out! 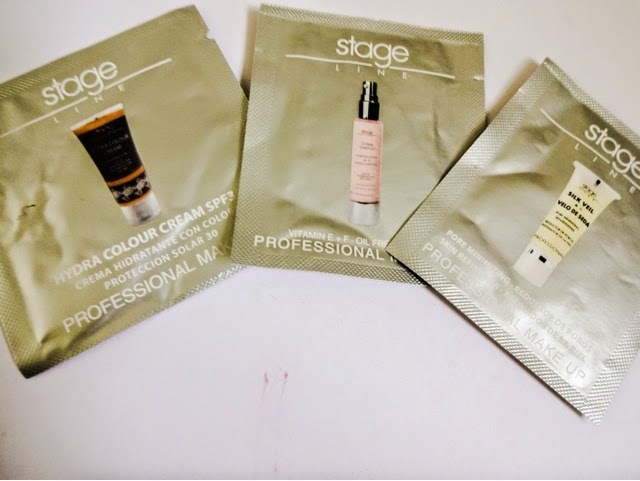 From heavy-duty beauty to special effects make-up, Stageline seems to work both for professionals looking to enhance their kits and those of us who just want some insider secrets on looking good. We got treated to samples of their Hydra Colour Cream, a skin-tone perfecting tinted moisturiser that brightens the skintone and contains SPF30, the Hydra Complex Luminous Cream - a super-light serum enriched with wheatgerm that gives an immeadiate lifting effect, and the Silk Veil Skin Refinisher, that uses silicones, hyaluronic acid and Vitamins A & E, to deeply moisturise, prep and resurface the skin and provide a base for long-lasting make-up. I can’t wait to try these. 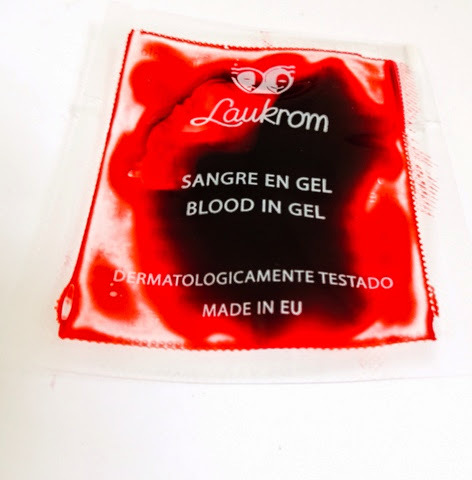 We also got the Laukrom Artifical Blood Gel – so handy for Halloween and creating any special effects make-up look, this is professional grade stuff. A full size Waterproof Liner and Glow Up Lip Gloss. 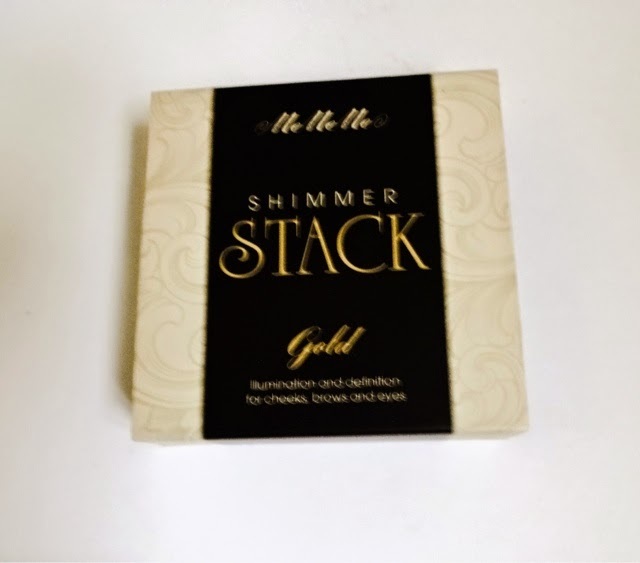 Both of these are amazing – I absolutely love the khaki colour of the liner, it makes brown eyes glow and will be ideal for doing a smokey eye with some colour. Plus it absolutely does not budge once on! 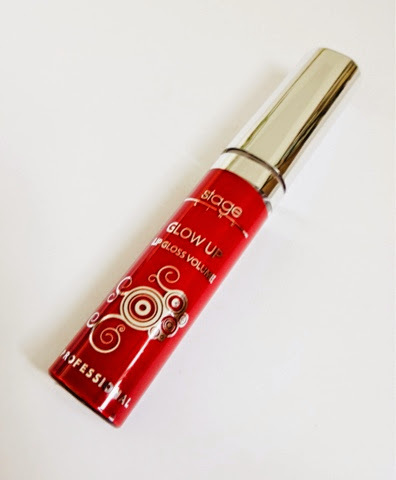 The gloss is similarly high-quality with a lovely moisturising feel and stayed put through several hours and cups of tea. The girls from StyleSkin were really lovely and told us all about their range of faux fur accessories that will be launching next month, we all got to have a try on as well! They gave us an exclusive discount (which will be put to good use, I love me a bit of fluff…), a range of fragrances from Yardley, and this amazing necklace from jewellery brand Adorning Ava. I love the mix of metals in this! Elijah Choo from Bodhi and Birch was there to talk us through his range. 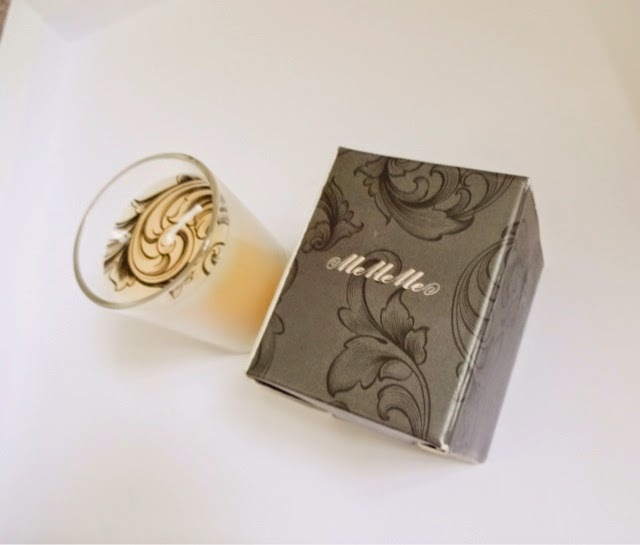 It really impressed me because the quality is evident, the ingredients and scents are amazing and I love the whole feel of their stuff. I’m planning to stock up. He kindly gave me a set of their Rosa Rosa facial care – cleanser, toner and moisturiser to try and I can’t wait to use them. 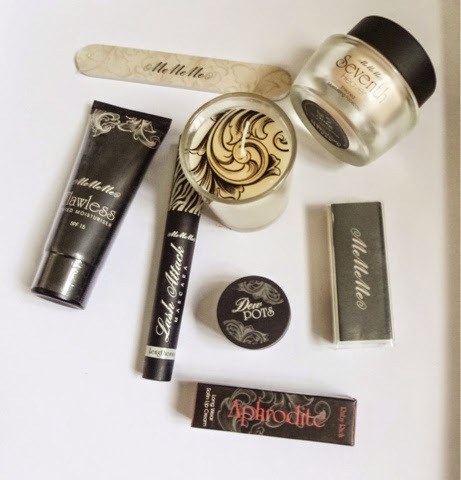 One of the first beauty posts I ever produced was on MeMeMe after they re-branded and launched a load of new products. 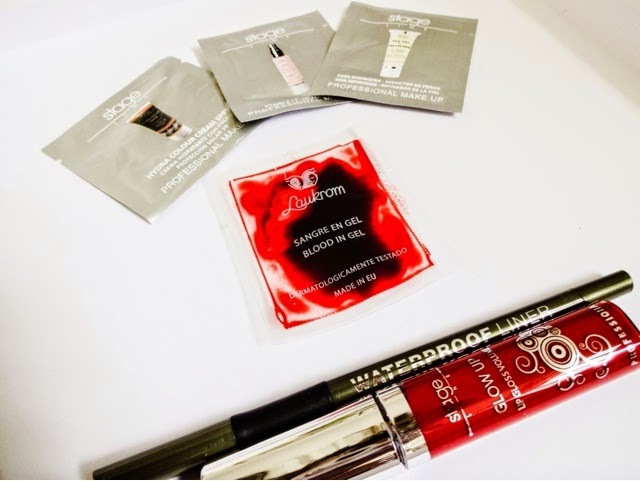 I already know their stuff is great, so I jumped up and down when I saw them at the event and they gave us a massive bag full of their latest launches – happy is not the word. This contains light-reflecting pearlescent pigments and microspheres to give skin that airbrushed appearance with a soft-focus finish. Gorgeous! 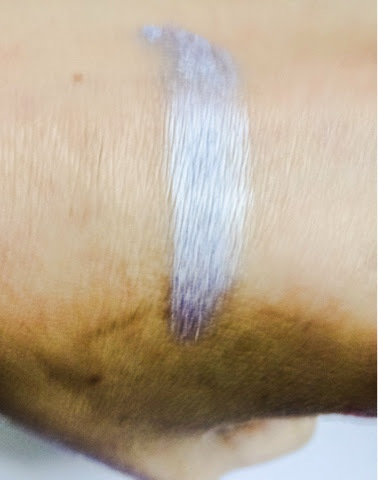 These pretty cream shadows are so pigmented and easy to blend – and this silvery, purplish shade is so pretty. 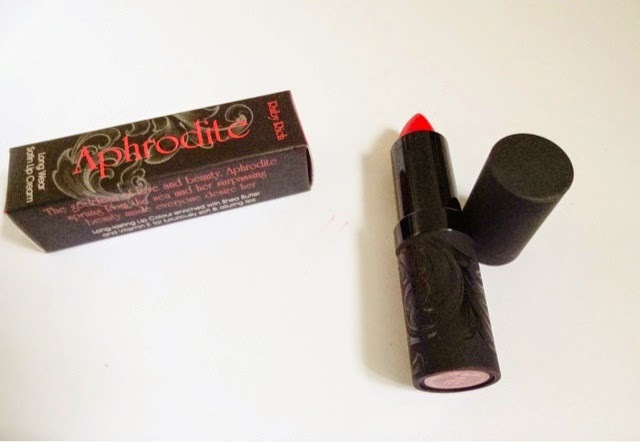 These are made with Shea Butter and Vitamin E for a soft, alluring pout. I love this rich rusty red colour. A cream jam-packed with skin goodies including shea butter, Vitamin A and beta-carotene which brighten, smooth and even out skintone. 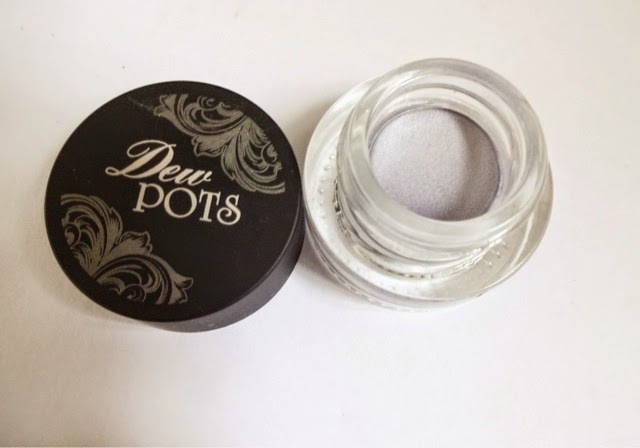 This is designed to leave a good base for make-up and smells of lime and mandarin - gorgeous! This will warm up the cold nights and make my boudoir smell good, so I love it. 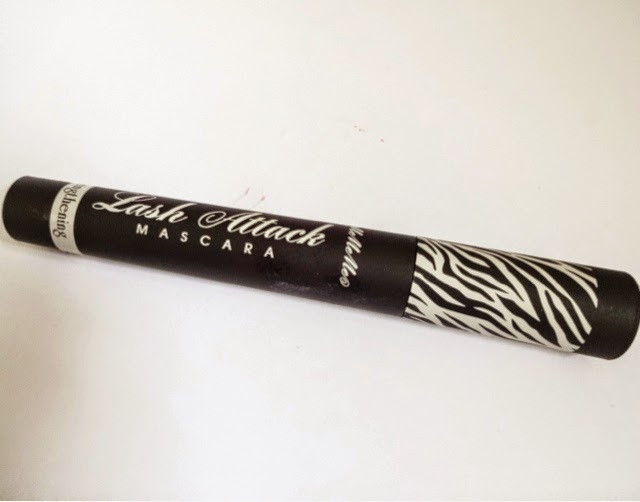 Uses fibre technology to deliver high impact, defined lashes – perfect for party season. 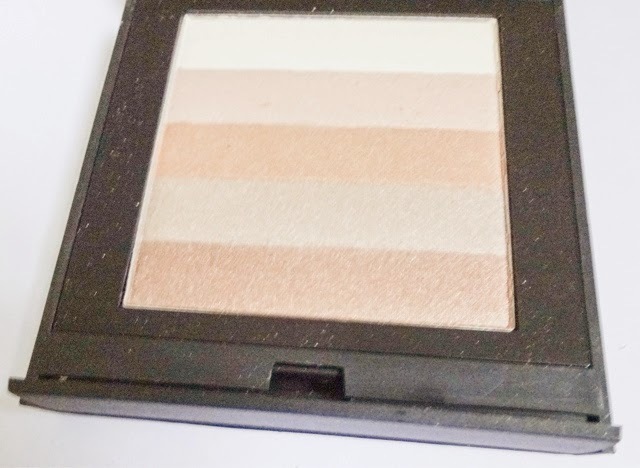 Gorgeous highlighter that gives definition for cheeks, browbones and eyes. Totally genius little patches that you attached to blemishes overnight to calm and clear them without drying out your skin. 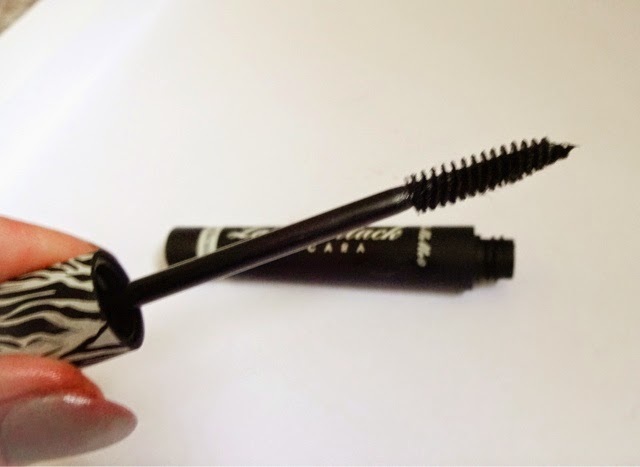 The holy grail mascara for so many people - this lengthens and volumises incredibly. 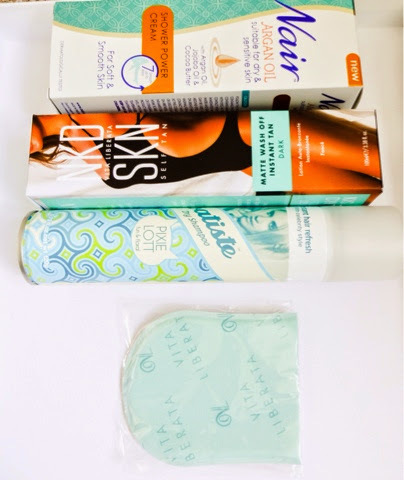 I love a little bit of help to get airbrushed skin and I’m a fan of NSpa products. This wipes away imperfections and contains skin goodies Vitamin E and Ginseng. Perfect for packing on colour but soft enough to blend with, this brush looks like it will be a great multi-tasker to have in my collection. Never realised how much I loved jasmine until I smelt this, its heavenly and the fragrance is strong and long lasting. 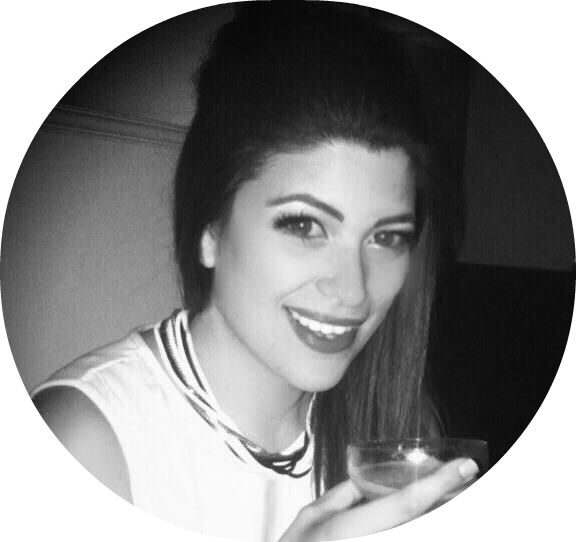 Signature are a contemporary perfume house based in London aiming to ‘bring back purpose to perfume’. I’m in love with this and will probably purchase a full size. I’ve been aching to try this for ages, so I’m thrilled. It’s a powder exfoliator that’s gentle enough for everyday use and strips away dead cells to leave glowing vibrant skin that absorbs skincare products like a dream. Quirky, yummy little spray that looks cute in your handbag and keeps you smelling fresh - what’s not to love? 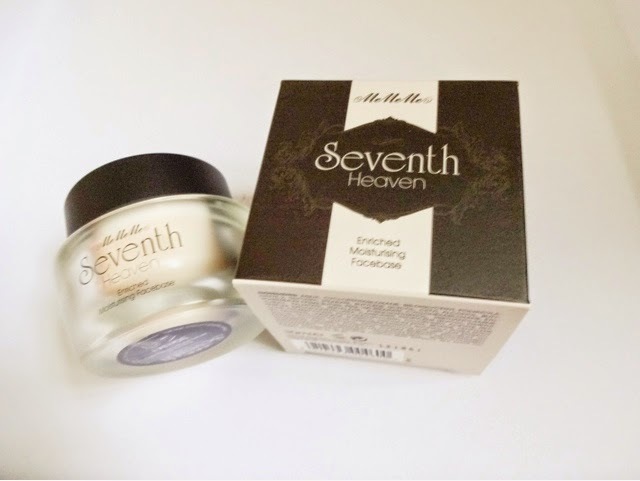 At this time of year, plunging temperatures and central heating are playing havoc with my skin, so this fresh-smelling treat was put straight to use softening my hands. I already love this because it smells amazing and sorts out chapped lips like a dream, so now I have a spare! Heard really good things about this range! This is a texturizing product that will help me get wild waves for all those Christmas parties coming up. An award winning, cruelty-free, naturally-derived range of products – this smells like a holiday in a bottle, so I’m looking forward to popping some in my next bath. This cream is tenacious enough to remove even coarse unwanted hair and is packed full of argan oi, jojoba oil and cocoa butter to smooth skin while its working. Love it. 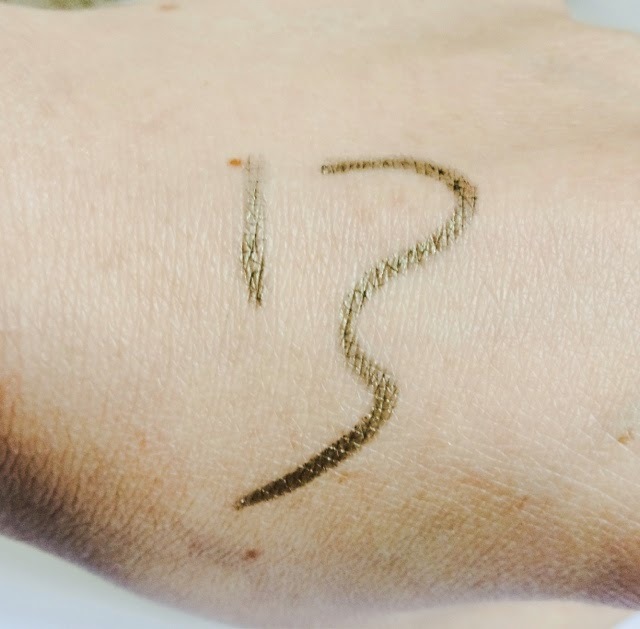 The only fake tan I use is the wash off kind, so I was really pleased by this. 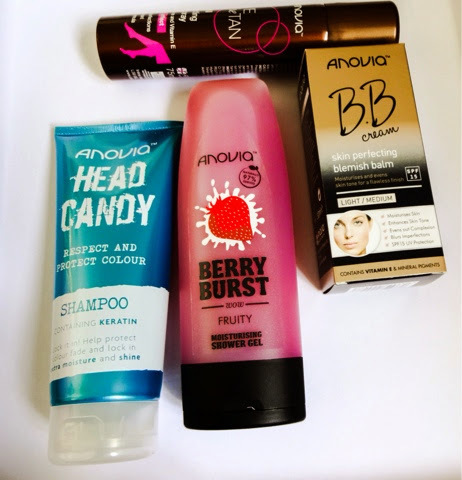 This brand is one of the top names in tanning and promises an easy application, instant drying, natural extracts and zero nasty smell. 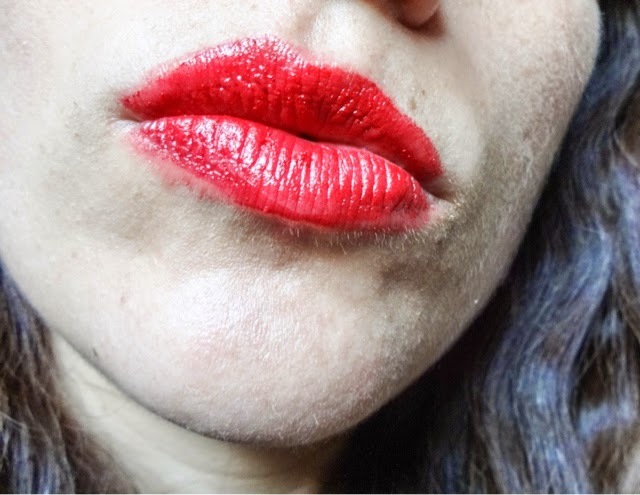 Its also commitment free as you can wash it right off. Excited to have a go with this. 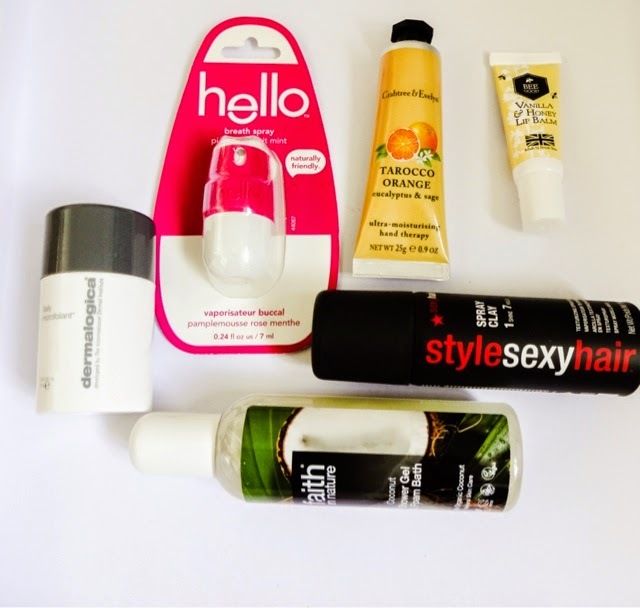 What girl doesn’t love her dry shampoo! I rely on it because I don’t like to wash my hair more than twice a week, but I haven’t tried this version before. 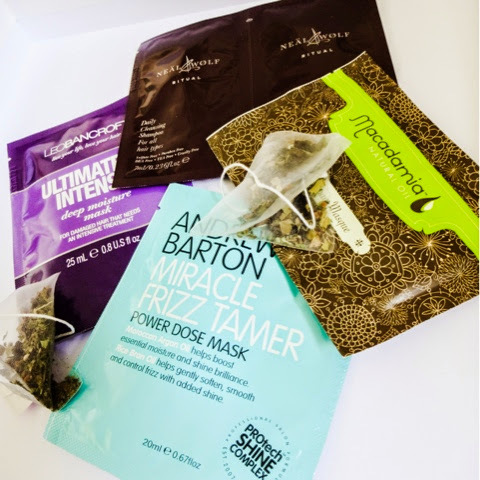 These teas contain oolong, cinnamon, lemon myrtle, mate green, nettle leaves and ginger and aim to help with weight loss – regulating blood sugar, increasing metabolism and helping digestion. Right up my street with my current Little Black Dress Challenge! They also gave us a whopping 70% discount to re-order. There were also several hair treats. Really handy because I try and do a hair mask once a week on a Sunday – we had the Leo Bancroft Ultimate Intense Deep Moisture Mask for damaged hair, the Macadamia Natural Oil Deep Repair Masque, the Andrew Barton Miracle Frizz Tamer Power Dose Mask and the Neal Wolf Ritual Daily Cleansing Shampoo and Conditioner to try. My locks are in heaven- that’s my Sunday nights sorted for the foreseeable future! 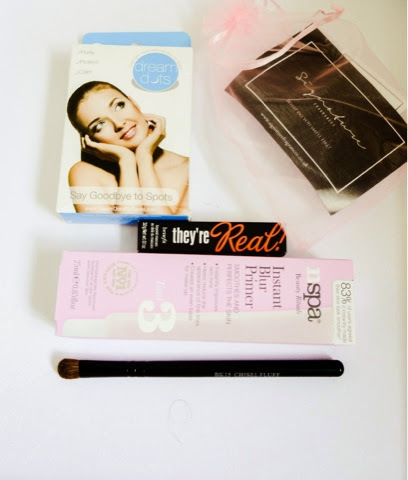 There was also a host of exclusive discount coupons from Personal Planner, Hi Impact Brows, Air Motion, Benefit, clothing brand Public Desire, and Trend Two. Spoilt rotten! Phew. Thank you to FABB Events and all the brands, I can’t wait to get stuck into some of these and will report back on favourites! such a great post. you can handle long posts very well. A question and request for help: I am in process to change my blog's appearance. How did you do that for ur blog? Any designer or tools, source? Any help is appreciated.